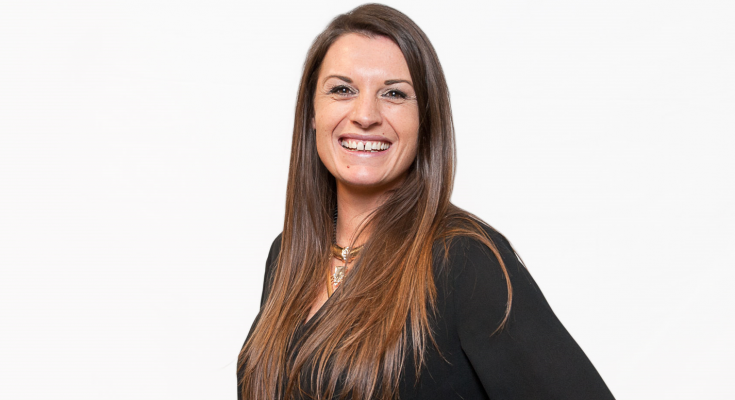 Juliet Caswell, Product and Proposition Director at CR Worldwide, details the importance of incentivised learning to help create brand ambassadors out of staff. When your brand uses a sales channel to sell its offering, it needs to stand out from the competition. But as your channel staff sometimes sell products or services for other brands which are similar to yours, this can be easier said than done. Making sure your sales channel staff know and understand your brand and keep it front of mind is fundamental to standing out. They should also adapt the right attitude to want to do more for you, over your competitors. Behavioural change is key to your channel staff achieving these things. And this where the idea of incentivised learning can help. Incentivised learning takes the concept of e-learning and brings it into a reward system, such as for a sales channel incentive scheme. By doing this, it builds upon the idea of online learning, as a way to help upskill your staff, but also encourages employees to behave and perform in the way you desire. With traditional e-learning, an employer will give their employees some online training to complete in relation to an area of their job. While research shows this form of training, which is growing in popularity, can help upskill staff, the approach of just giving employees the training creates the idea that a business expects their employees to complete it. Knowing the purpose of the training is to benefit the wider business, the employee might also wonder, what’s in it for them? Rewarding the employee for successfully completing said training can help overcome this hurdle. It takes away the idea that staff are just expected to do the training without question, and instead, shows that the employer values and appreciates them and the time and effort they have put into it. It also helps communicate the importance an employer places on completing the training successfully. So how does all this help your brand help your sales channel staff achieve behavioural change? The way incentivised learning works means brands can use it to reward sales channel staff for building knowledge of everything from their latest products and core services to their company history and business objectives. Incentives could include points that staff can collect to claim a bigger reward, like a personal gift or experience. Staff can also be set goals to help put into practice what they have learnt in their training, such as using their new knowledge to sell a brand’s latest product to a new customer. By creating sales channel staff who know your brand well, you can achieve behavioural change – that is, the ideal behaviour you want staff to embody to become an effective salesperson for your brand. For instance, how they perform, how well they can sell your products, and how they view your brand over your competitors. There are different ways incentivised learning could be used to help achieve this behavioural change. By providing training that comes with an incentive, you can encourage staff to want to learn more. They know that there is a reward each time they complete training, so there is an incentive to keep building their knowledge. Moreover, the more learning programs they complete, the higher that knowledge can become. As a result, you can create staff with greater mindshare of your brand that can more effectively help sell your offering and convert more customers. Using incentives to encourage staff to complete training across your business can constantly remind them of your brand, helping to increase brand awareness. For instance, they could associate the rewards they win with your brand, making it feel more prominent than your competitors and helping to keep it front of mind. In doing this, while sales channel staff will have targets to hit, selling for your brand might feel like a priority. Over time, your channel sales staff can become proud experts on your brand. This, paired with the right knowledge, mindset and attitude, will encourage employees to feel loyalty towards it, enough to become a brand ambassador – embodying your brand and everything it stands for. They will speak highly of your brand, not just in their daily job, but outside of their working hours, like in their social circles, at company events and on social media. Adding a strong learning program to your sales channel can only be a good thing when aiming to build brand awareness and team knowledge. When an incentive is attached to that learning, it doesn’t just help create highly skilled staff, who are better equipped to sell in your sales channel. It helps those staff achieve behavioural change, becoming the ideal employees to take your brand further. Established in 2002, CR Worldwide helps companies grow by enabling them to reward best behaviours from the people most valuable to their success – employees, customers and partners. In creating award-winning recognition, incentive and event programs, the company’s solutions help companies to engage these people and improve performance.